AD Get the latest accurate MLS listings for all builders in Union Park. Model homes, images, descriptions and prices. Book showings online or contact Prickett Realty to learn more. 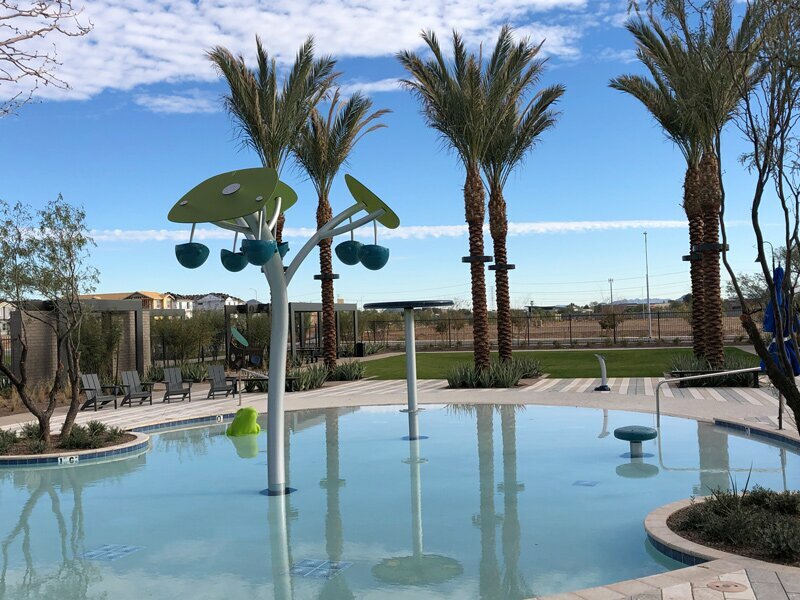 The upscale, walkable, master-planned community called Union Park at Norterra opened in December, with seven model homes. 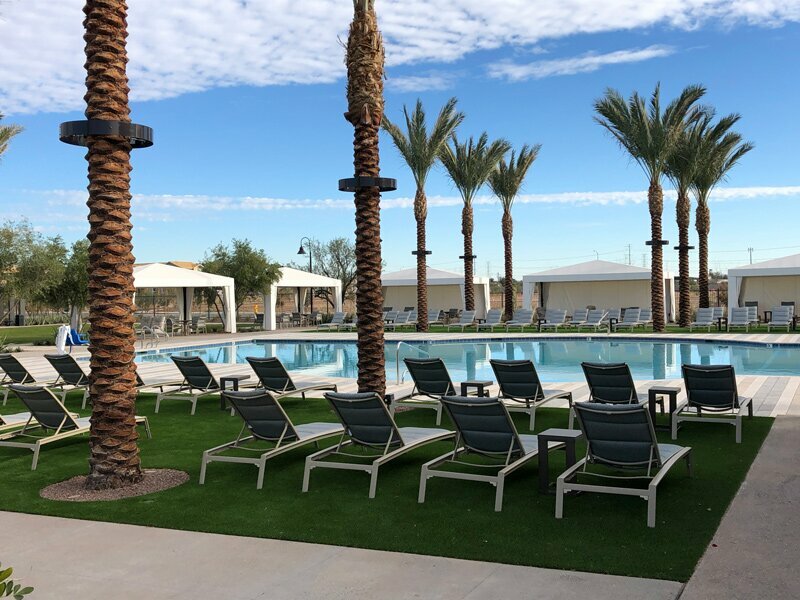 Pricing and photos were recently revealed for the project, owned by the insurance and real estate conglomerate USAA and situated next to the company’s 3,800-employee campus along I-17 between Happy Valley and Jomax roads. 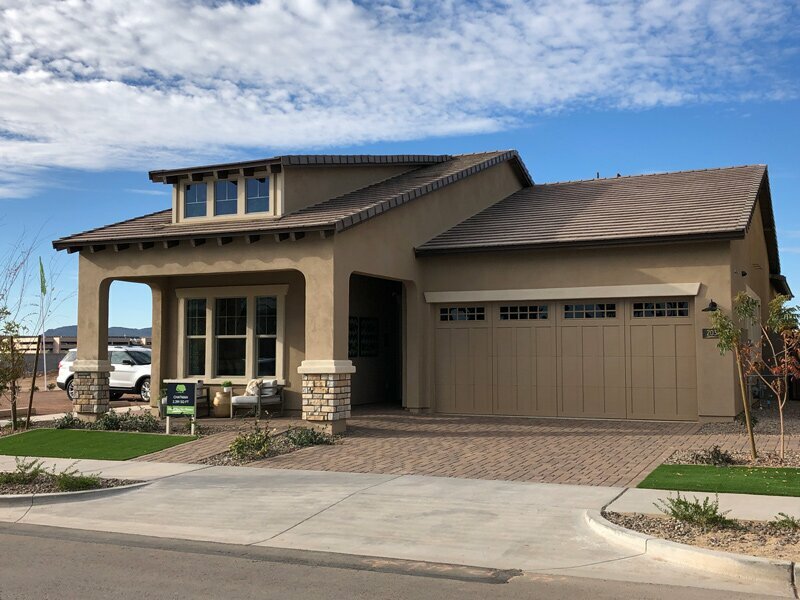 By late December several new still-to-be-built homes had been sold, North Phoenix News learned on a visit to the development. 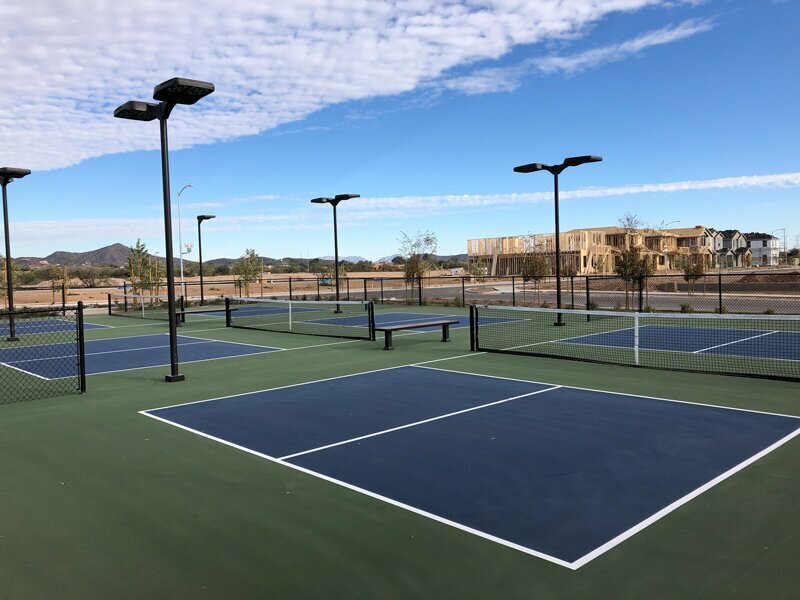 A grand opening is planned for 11 a.m.–3 p.m., Saturday, Jan. 12 (Enter from Happy Valley Road at 21st Avenue). The project aims to evoke “the character and charm of neighborhoods past,” according to the developer, Sunbelt Holdings. Phase 1 includes 309 homes by three builders, each providing unique styles. 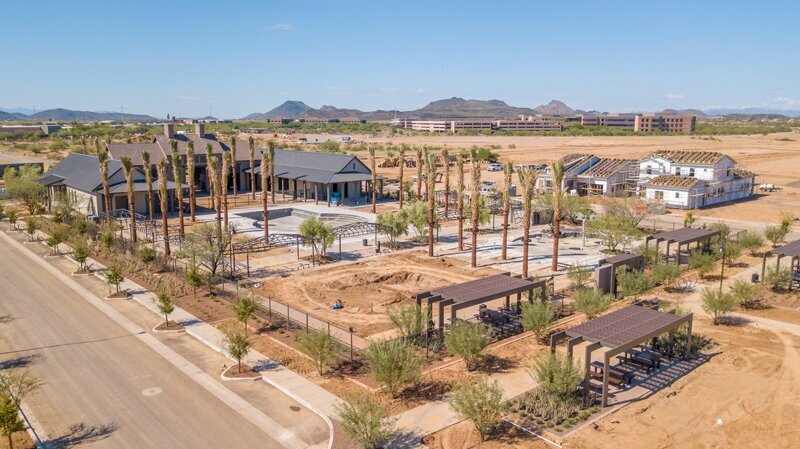 The architecture—ranging from territorial to mission revival, Southwest modern to desert craftsman and even Wrightian (inspired by Frank Lloyd Wright)—indicates that Union Park will be notably different than the master-planned communities of Anthem, Fireside at Norterra or Sonoran Foothills. AD You might just want to sneak a peek at the model homes, but doing so without a REALTOR® will waive your right to representation. See Union Park MLS listings online now or contact Prickett Realty to learn more. You’ll find quaint, compact, urban-like interiors reminiscent of row houses in East Coast cities, yet with side yards and no common walls. Garages are in back, accessed via an alley. You’ll find large homes with high ceilings and expansive kitchens that look onto dining rooms and great rooms in a very open setting. Some models include a bathroom with each of the kids’ bedrooms. Similar to Cachet homes — big kitchens, expansive great rooms, all at lower initial price points. AD See full and accurate MLS listings for new homes in Union Park, with images, descriptions and prices. 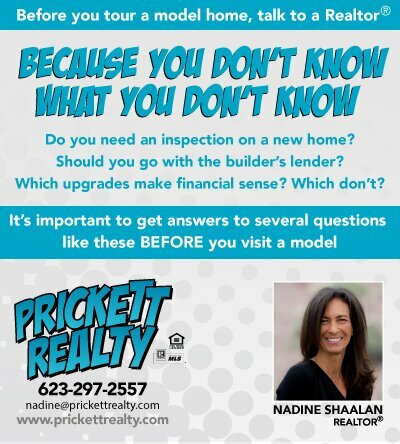 Then book showings online or contact Prickett Realty to learn more. 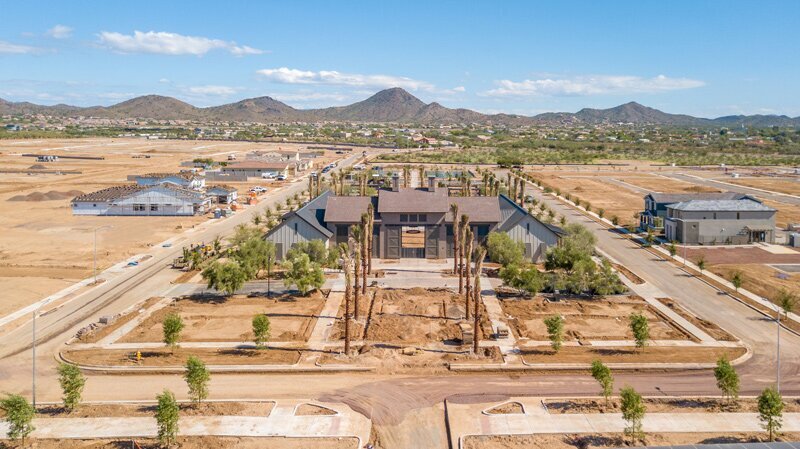 The 5,800-square-foot community center, inspired by historical farmhouses (complete with barn doors and timber beams), is also nearing completion. 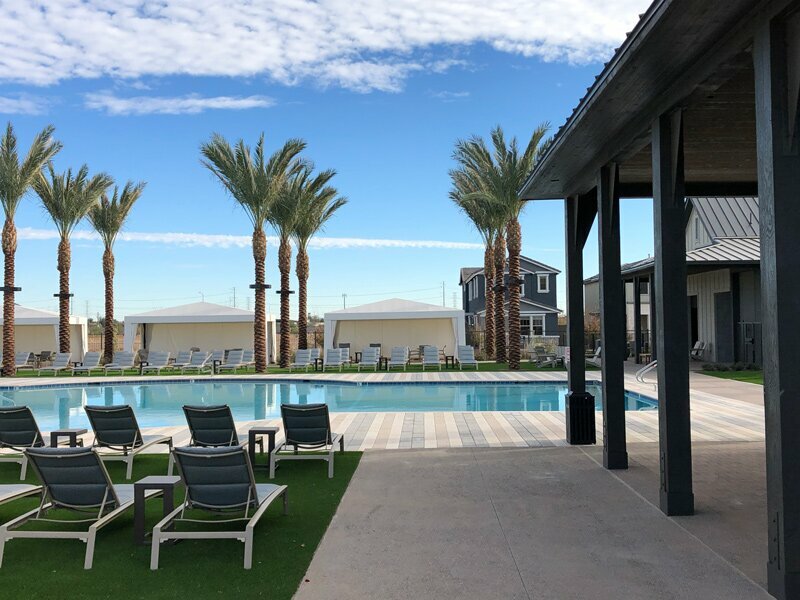 Retail, specialty restaurants, office space and a school are planned for later phases of the 398-acre project, which at buildout will have 1,100 single-family homes and 1,100 multi-family units. The plans were first reported by In&Out in February, 2017. 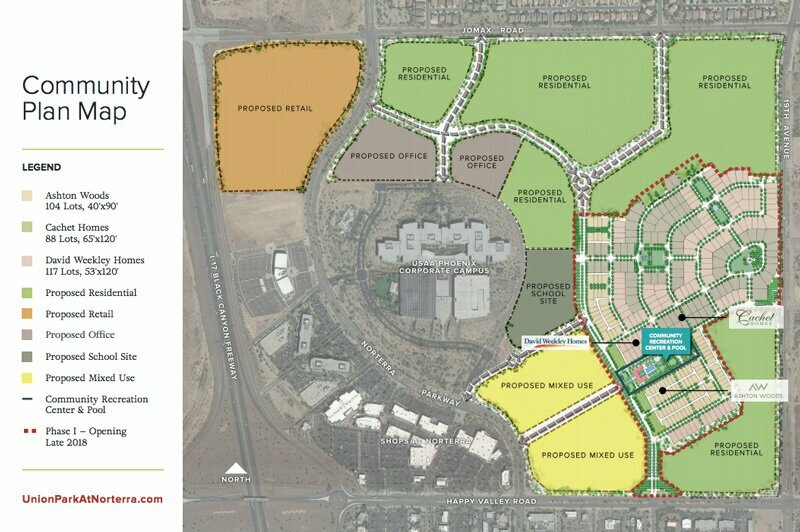 Phase I will also include three smaller community parks. The kid’s splash pool at the community center. 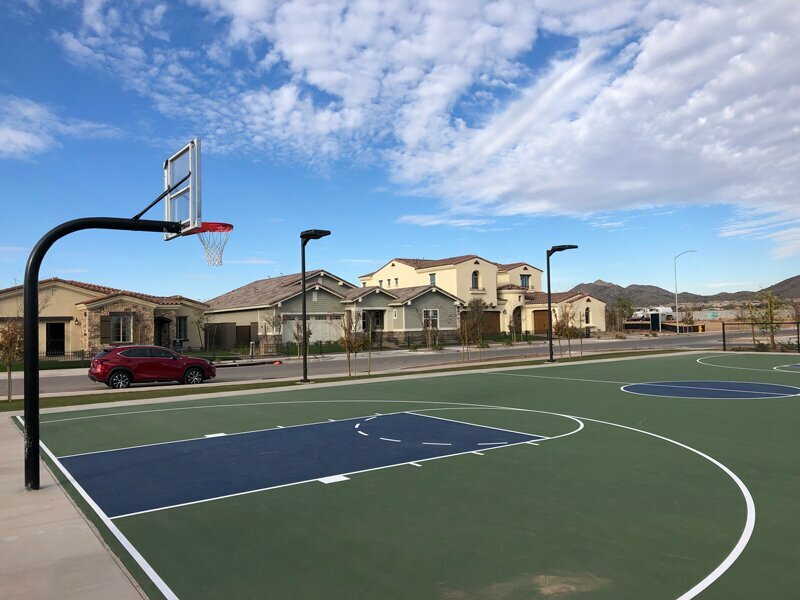 The model homes and other homes currently under construction are clustered around the community center, which includes an outdoor basketball court. 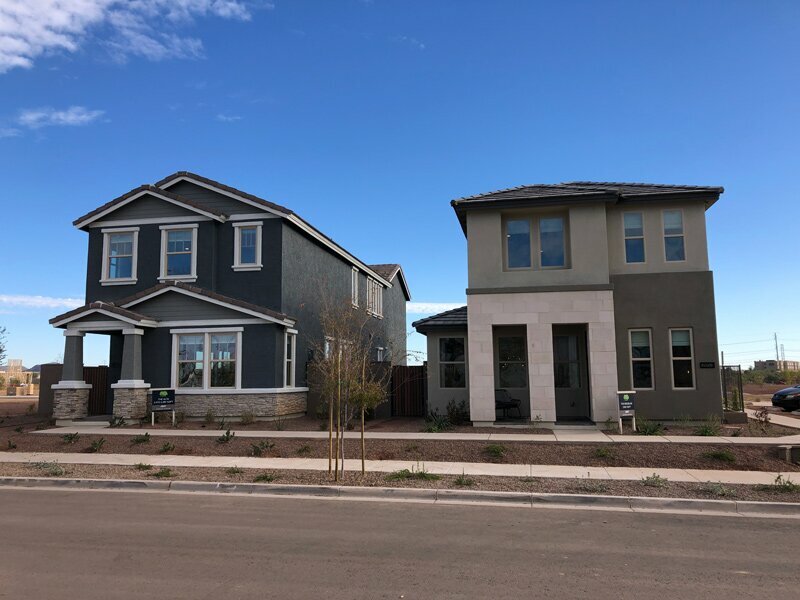 AD See full and accurate MLS listings for all new homes for sale in Union Park at Norterra, with images, descriptions and prices. Book showings online or contact Prickett Realty to learn more. The community center in a new photo, seen from above, with nearby model homes under construction. A closer look at the community center, seen from the opposite side. The main building is called the Post. 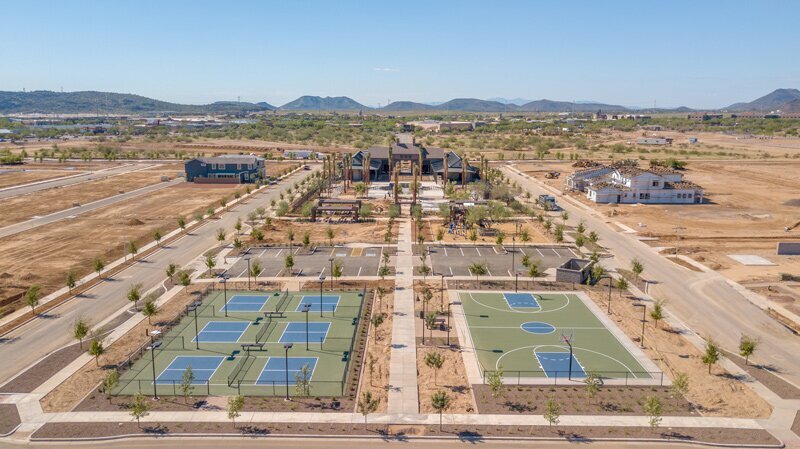 Union Park at Norterra’s community center, with USAA’s North Phoenix campus in the background. This article was originally published in November 2018 and has been updated to reflect new information.